Going back a few years some eight guys from Auckland, Hamilton and Adelaide, including myself, went on a “Boys trip” to Germany to do and explore just car-stuff. 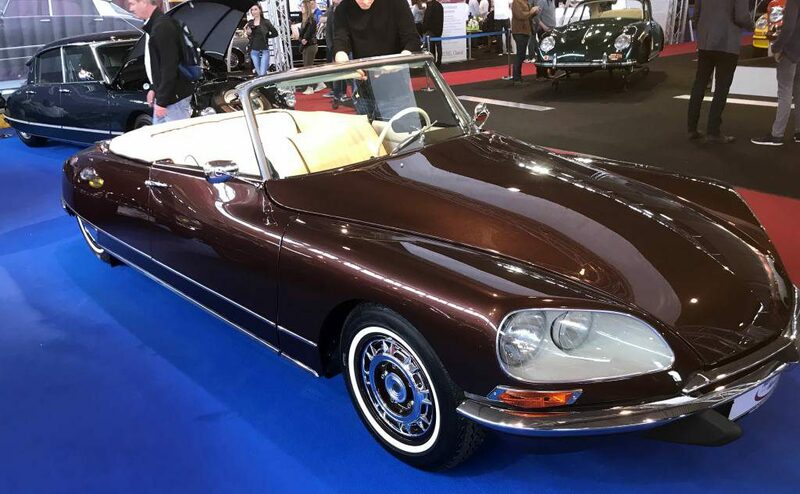 One part of the many items on the agenda was to visit the “Techno Classica”, the world’s largest event for displaying, buying and selling classic cars, but also for the myriads of private sellers and commercial suppliers to offer their wares. So if you were after that ever elusive part, the Techno Classica is one of the sources for a serious restorer. It is held every spring, housed in 21 massive exhibition halls and four outdoor areas, encompassing 120,000 sqm. The sheer amount of jaw dropping and mouthwateringly beautiful cars was absolutely mind boggling. 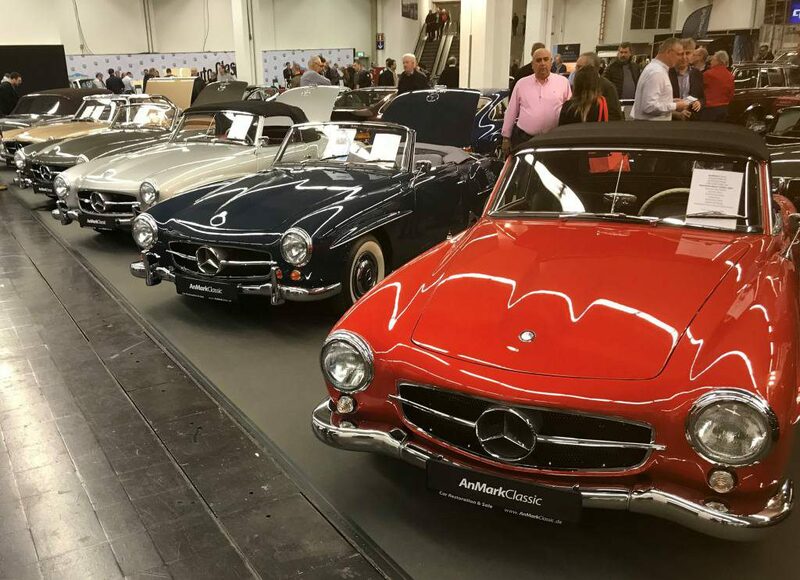 If you thought the 300 SL is a rare car, here you could see at least 30 – 40 displayed by various Restoration Houses or Classic Car dealers. This all still stuck in my mind after Lloyd, John and Tim restored our beautiful 190 SL. 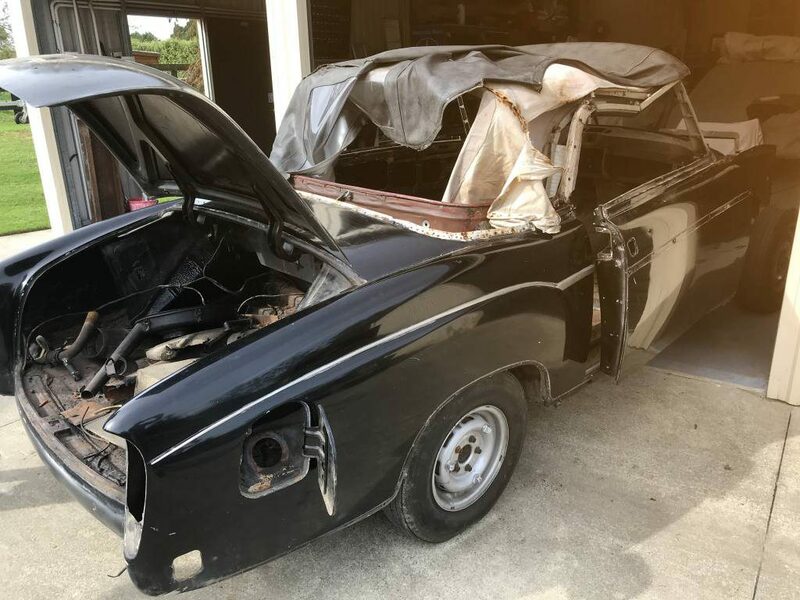 My wife and I decided it was time to tackle our 1957 200 S Ponton Cabriolet for which parts, especially the shiny “bling”, are not quite as easy to come by as for the 190 SL. So the plan was hatched to “go to Germany and buy those parts”. As Vivian absolutely dislikes German weather in March/April (usually cold with ever grey skies) and even with the lure of going to Italy or Greece, she could not bring herself to join me. So off I went on my own, flying my preferred route via Singapore and, sure enough, arrived in a bitter cold Germany, not even remotely resembling spring. The good thing is that it only takes a few steps from Frankfurt Airport to the main railway station, however, this feature is marred by the non-existence of the formerly famous punctuality of German trains. Some 65 minutes delay on a drafty platform subsequently had an effect on my well-being. 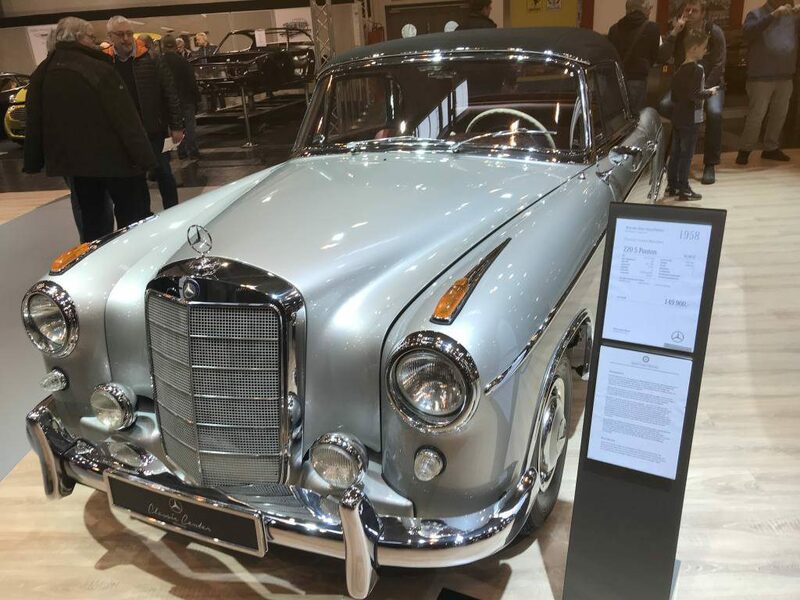 Finally I arrived in Essen, home to the Techno Classica, this year to be staged over six days compared to the usual five, and visited by some 188,000 visitors. Again, I was not disappointed by the quality and quantity of the displayed cars, mainly British and European. My main goal however was not so much ogling cars but the hunt for spare parts. For three days I sighted and compared, paid at times dearly for the “bling”, and even found that sometimes you can’t wait for too long with your decision… or the part was gone. But most importantly, I made many contacts with people knowing of parts somewhere else, or knowing people who know people who might know. Over those three days in Essen I have never seen so many old men in one place, a sign that they all had done well in their lives and were out now to garnish their retirement with a nice car. 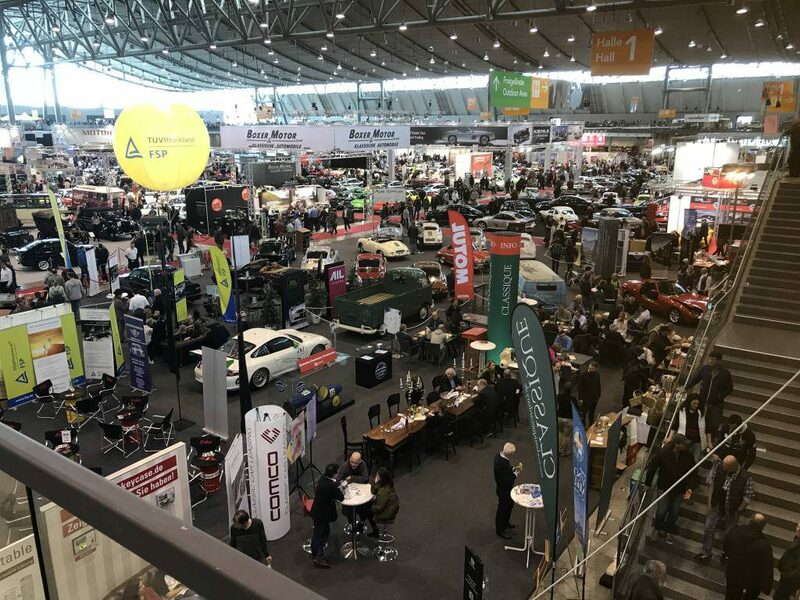 During my visit I learned that another big event of similar nature, “Retro Classics 2018”, was being held in Stuttgart over exactly the same weekdays as Essen was staged. I don’t know what possessed the organizers to do so as it caused a lot of stress and cost for visitors and exhibitors alike to be at both places. As we’ve got a friend living in Stuttgart it was easy enough to call him and he was only too happy to receive a visitor from New Zealand. We had a good time together and he joined me visiting the show. Contrary to Essen with its dated layout and state of halls, the show in Stuttgart was a completely different kettle of fish. Ten brand new, absolutely monstrous exhibition halls were lined up in a way to easily get from one to another, with a nicely landscaped path between them for if you need food, drink or a smoke. Again, there were cars, cars and even more classic cars on display and for sale. However, only a few car parts dealers were present but zillions of stands selling model cars. So if you were not in the position to pay Euro $80,000.00 for a VW Samba Bus you could buy it as a model for only Euro $50.00. In Stuttgart it was noticeable that young families visited the show to make it more of a weekend outing. Due to having had only two days left I just managed to scan four of the 10 halls but again was lucky to find some parts not available in Essen. After this massive visual impact I was “car-ed out” and happy to fly to Hamburg where I was greeted by a school friend of 50 years. I spent another two weeks with him and we had a good many beers and ample German food. Back home the scale yielded a surplus of 4 kgs which I am in the process of losing, hopefully never to find them again.